I know I say a variation of this every month, but I cannot, cannot believe that it’s March! Spring is on the horizon! I can smell it in the air – that little bit of earthiness and thaw combined with all fresh green shoots that are popping up everywhere. On the weekend Mike and I took a walk around a nearby lake and all of the trees had tiny verdant leaves coming in. There are cherry blossoms galore happening here too – it was the very epitome of spring. 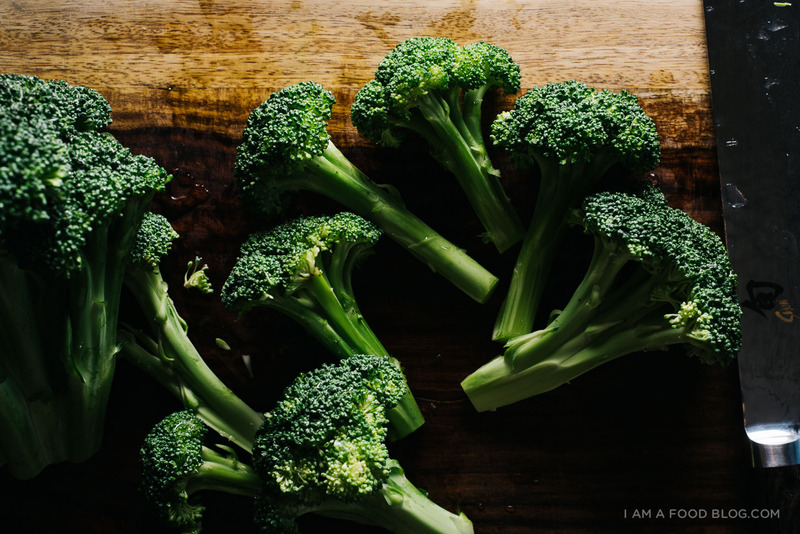 With all this green around, it makes me want to eat…you got it, broccoli. I love those little tree-like sprouts. I even eat it raw. Raw broccoli isn’t for everybody, but I truly believe that cooked broccoli is. The key is to cook it fast and hot so that it has some char and depth of flavor, but still has snap and crunch. 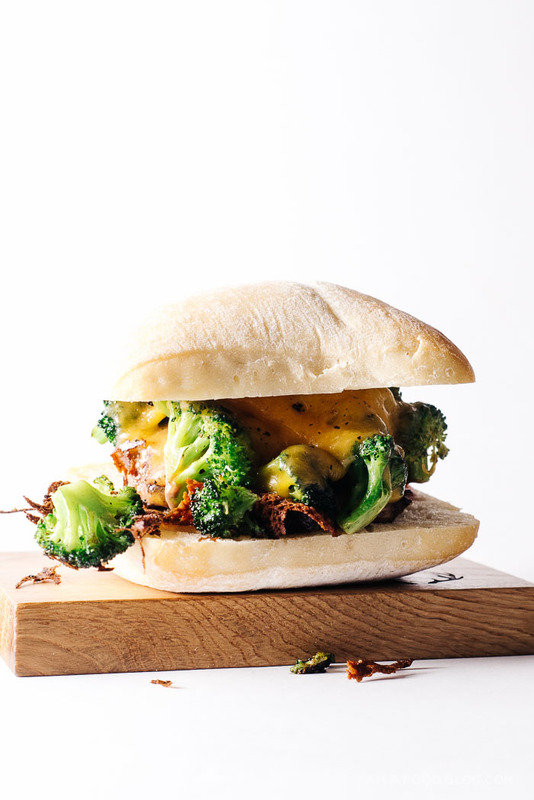 Over-cooked broccoli definitely has its place in the world, but on this burger you want slightly crunchy broccoli with a bit of bite. Broccoli and cheddar go together like PB and J, milk and cookies, dumplings and soy sauce. It just works. Of course, growing up Chinese means that I didn’t taste broccoli and cheese together until I was well into my late teens, but after that first bite, I was hooked. 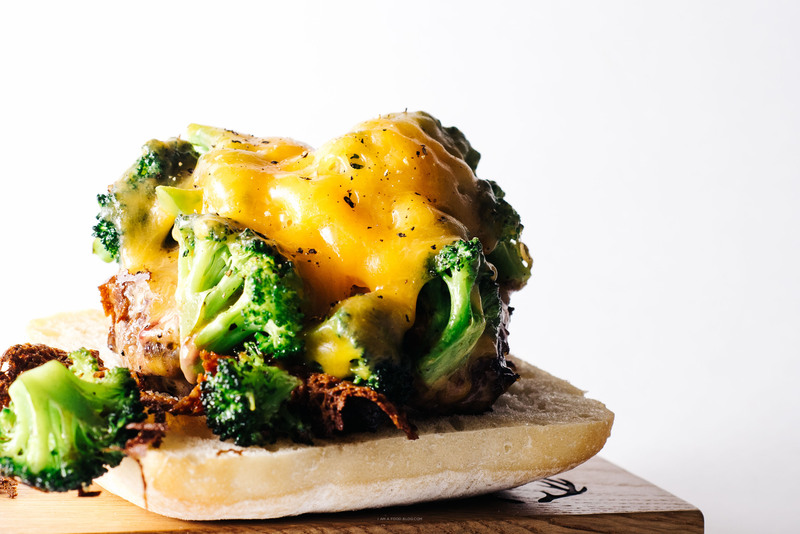 Broccoli and cheddar on top of a juicy, charred beef patty and you’ve got a burger fit for spring! Slice the buns in half if needed. If desired, toast while the burgers are cooking. Form the meat into 4 equal patties about 2 inches tall and 2.5 inches wide. Season both sides with salt and pepper. 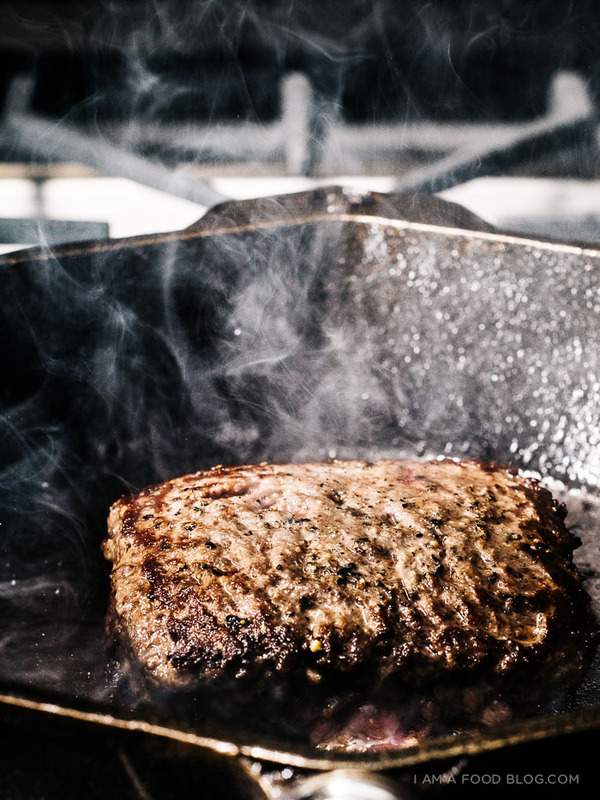 Heat up a large heavy cast iron skillet over medium-high to high heat, add a touch of oil and swirl to coat. 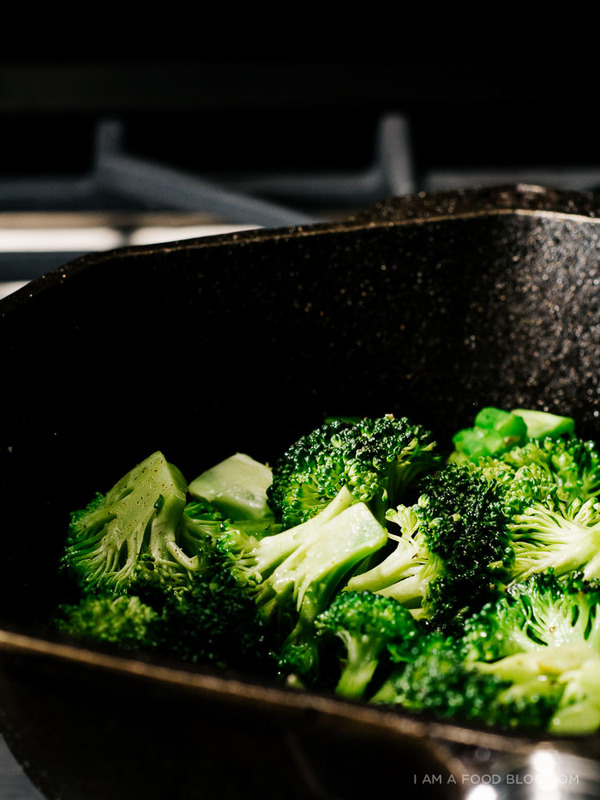 Add the broccoli in an let cook, stirring occasionally for 2-3 minutes. The broccoli should be bright green and deeply charred. Season with salt and pepper to taste. Remove from the pan and set aside. Carefully wipe the skillet down. Add a touch of oil to the skillet, swirl to coat and heat over medium-high heat. Add the patties and press down, using a flat spatula. Cook until a crust has formed, about 2 minutes. Scrape and flip, topping each patty equally with shredded cheese, the cooked broccoli and the rest of the shredded cheddar. Cover the pan with a lid to help the cheese melt. It helps to use a glass lid so you can see exactly what’s going on. When then cheese has melted to your liking the burger should be cooked through, about 2-3 minutes. 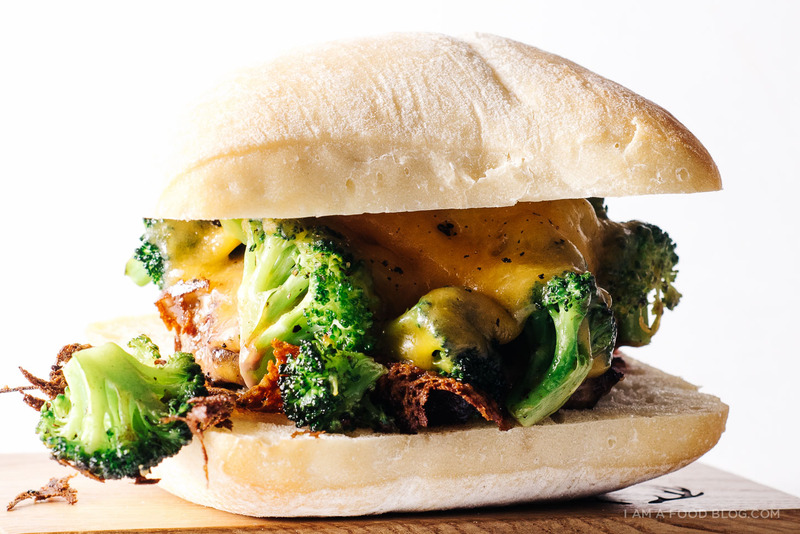 Carefully move the broccoli topped patties to the buns and enjoy immediately. Mmm this looks so good! And I love the way the floret on the left hangs on by just a cheese thread. Oh honey! You are a genius! At first I thought this was just cheese covered broccoli on a bun–which also sounds amazing, but there’s an actual burger in there!!! Love. I’m just staring blankly at my computer screen ~ this looks like the best burger of my life. I could eat 2 of these, no problem. Like you said, nothing beats broccoli and cheddar and I’m in love with the roll you used. Marry me burger! Ohhh broccoli and cheese is such a great combo. Love this burger! Love love love broccoli and cheddar! Have you ever had Broccoli and Cheddar soup? It is THE BEST. But now this burger may just take the top spot! Steph. I can’t eat cheese and don’t eat meat but I think Thom would love me forever if I made him one of these burgers. Also, BROCCOLI ON A BURGER? Totally gonna wedge some into my veggie burger for dinner tonight. I have never thought of putting broccoli and cheese on a burger. Why not? I have no clue. This looks amazing! That’s how the conversation goes between my husband and I EVERY TIME I come to your blog, Stephanie. Definitely nominated yours, stephanie!! For everything! :). Different kinds of burgers always interest me. They are fun to eat. Never ate one with broccoli before. Voted for you on Saveur! Broccoli and cheddar are the perfect couple. I used to order a baked sweet potato with cheddar and broccoli at my last job and I always finished wishing I had ordered extra broccoli and extra cheddar. Why I’ve never had the two on a burger is beyond me. Next. Level. P.s. DUH on nom’ing you!!!! this looks insane. i’ve been craving broccoli and cheddar and this looks like a great alternative. I seriously want to hug you for sharing this burger. 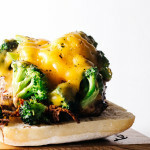 Broccoli and cheese meets burger??? I’ve just seen my version of freggin’ heaven on earth! ♡ totally making this. Like, Now. Thank you for being a genius. AND sharing! I just ate cheddar broccoli and a cheeseburger on Hawaiian rolls. I combined the two as I was eating and wow. I then searched broccoli cheeseburger and found this. Try this on Hawaiian rolls for another great taste sensation/combo.